Great characters – a great read. I’ve had Marlish Glorie’s second novel Sea Dog Hotel on my iPad for a few weeks now, but it was only this week that I started reading it – and then I couldn’t stop. When I turned the last page I wished I’d read it sooner because spending time with Ruth, Grace and all the strange and quirky characters who come and go at the Sea Dog Hotel in the little outback town of Nyacoppin, made me feel so good. Starting the uncomfortable journey in the car with irritating Ruth, who is hoping for yet another new start in the search for happiness, and her brooding resentful daughter, Grace, I wasn’t expecting such a delightfully warm and reassuring read. But I was quickly drawn into the life at the hotel, and began to care about the people, the place and the things that mattered to them. Marlish really conjures up the feel of the run down hotel, the almost forgotten little town, and the people who come together as a community. I loved the sense of satisfaction I had at the end, and was looking for the promise of a sequel. The voices of the characters are strong and authentic, and while they are eccentric, sometimes prickly, and defensive they are very real and each one has characteristics to which I quickly warms. 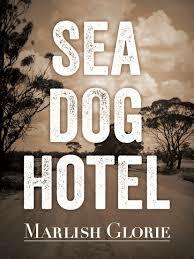 I love character driven novels and Marlish has really created a believable group of people and an unique little world at the Sea Dog Hotel. This is a delightful book – perfect as a relaxing holiday read, or an engrossing distraction on a long flight, or something that will just lift you out of your surroundings and revive your spirits. You can find Sea Dog Hotel on amazon.com’s Kindle Store.